That Store Your Board has a Twitter account as well?? Follow us at @StoreYourBoard for the latest scoop about not only our racks, but the latest news in board sports and why we love them. 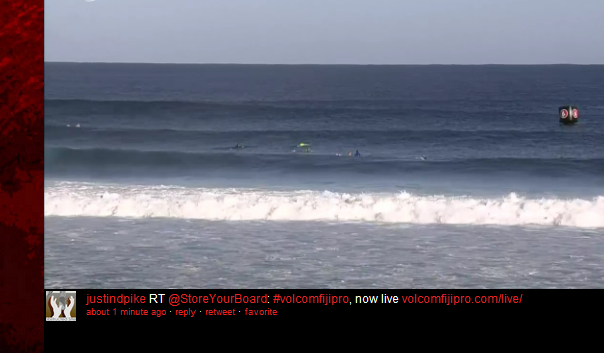 Here’s an awesome shot of a tweet from us that made it to the live stream of the ASP World Tour Event going on in Fiji this week!